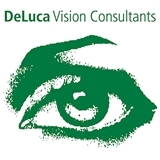 DeLuca Vision Consultants (Lyndhurst) - Book Appointment Online! In the year 1990 Dr. DeLuca graduated from the Affiliated Eye Residency Program of New Jersey. In his final year there, he was elected chief resident. In his early years, he was an innovator in cataract surgery, teaching his superiors the art of small incision surgery. He also paved the way for the use of intraocular lenses in the pediatric population. Dr. DeLuca received the coveted Shulman Memorial Award for “Exemplary Compassion and Medical Expertise,” and The Award for Excellence in the Surgical Education of Residents. He brought his expertise to his office in the South Bergen town of Lyndhurst, New Jersey and quickly became one of the most sought after ophthalmologists in the area. The practice has grown considerably in the last 20 years and his expertise has spread to diseases of the cornea and laser vision correction. Love her! The office staff was amazing and would recommend anyone to come here!